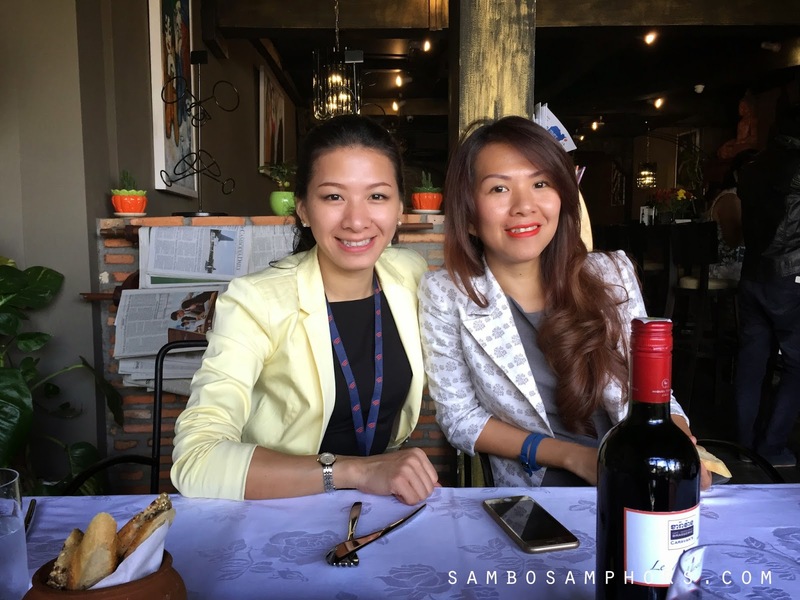 Caravan is an Italian's fine dining restaurant and we went for lunch. 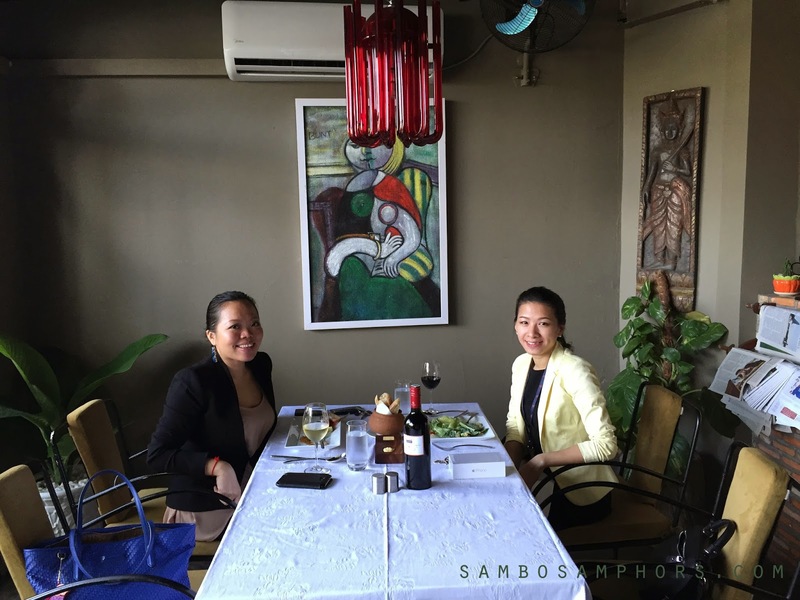 I and Nin enjoy exploring Phnom Penh and often meets at new and different restaurant. This is our first time there and I have to say I'm pleased with its $12 Set Menu, I get Caesar Salad, Grilled Sea Bass, 2 Scoop of Ice-cream and a glasses of wine. I had two glasses and so the rest of my day went like ... you know sleepy and lazy. I prefer day light, so our table was right there on your left when entering the shop. Nak bang decided to join us and Nin didn't mind having her there with us. All of it just for $12? now you have to bring me there!